We are all deeply saddened by yesterday’s killing of so many children, it is beyond tragic. As adults we need to repair a society that has manifested such violence and build an inclusive compassionate community. Reconnect with our moral centers. Make choices that reflect our values. Support external influences that come from a loving place. Promote individual excellence through instilling our responsibility to each other in support of our global community. Guide our children to develop inclusive communities where everyone belongs. 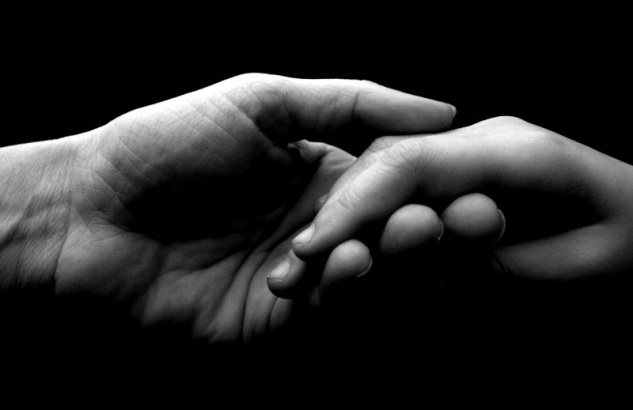 Take better care of our mentally ill; they are a part of our community and should be treated with love and respect. Change our view of violence from an accepted form of entertainment to unacceptable. Be clear the support of guns is a support for a society that needs guns. Trade fear for compassion, transform “mine” to “ours”. What if we built a story house for humanity that would bring together the young and old to tell their stories? Sharing their wisdom and what they hope for humanity. Multi-generational leaders from different disciplines and cultures coming together using diverse storytelling formats. The younger generations would help the elders tell their stories. The elders would share their story as the younger would manifest the wisdom in an expressive resonant form. Inspired by the wisdom the younger people would voice some identity, motivation, or action that complements the story. In turn, the elders would help the younger generation tell their stories in formats resonate with the elders. Connections would be made between shared wisdom, vision and cultures. 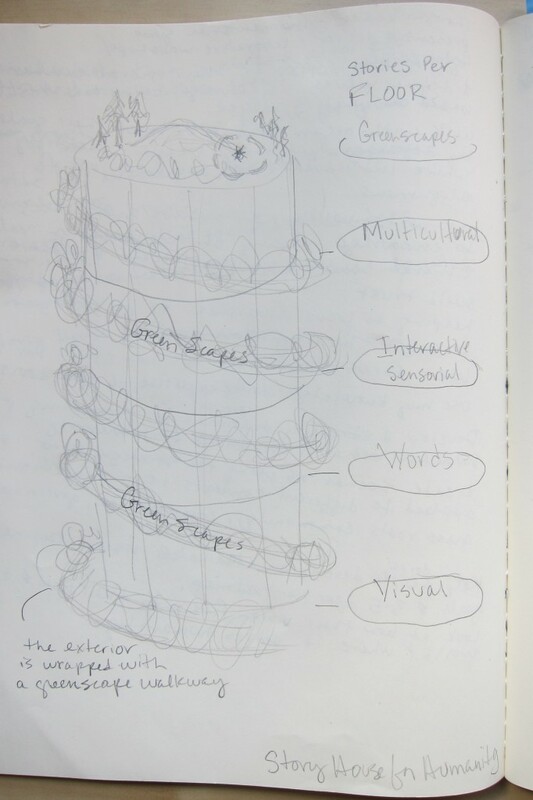 The story house might have individual floors dedicated to a storytelling art form for example: Green scapes; Multimedia; Interactive and sensorial experience; Written word; and Visual arts. Yesterday I attended a workshop designed by architecture firm zeroplus around the topic of what the next generation of the built environment will look like. The conversation was open ended leaving room for each participant to share their interests and perspectives. Technology was a focal point. A question was asked about what processes futurists use to envision the future, William Gibson was mentioned for getting the future right. In 2010 prior to the release of his book Zero History, Gibson spoke about how the idea of “the future” is not what it used to be. “…Alvin Toffler warned us about Future Shock, but is this Future Fatigue? For the past decade or so, the only critics of science fiction I pay any attention to, all three of them, have been slyly declaring that the Future is over. I wouldn’t blame anyone for assuming that this is akin to the declaration that history was over, and just as silly. But really I think they’re talking about the capital-F Future, which in my lifetime has been a cult, if not a religion. People my age are products of the culture of the capital-F Future. The younger you are, the less you are a product of that. If you’re fifteen or so, today, I suspect that you inhabit a sort of endless digital Now, a state of atemporality enabled by our increasingly efficient communal prosthetic memory. I also suspect that you don’t know it, because, as anthropologists tell us, one cannot know one’s own culture. The Future, capital-F, be it crystalline city on the hill or radioactive post-nuclear wasteland, is gone. Ahead of us, there is merely…more stuff. Events. Some tending to the crystalline, some to the wasteland-y. Stuff: the mixed bag of the quotidian. This stuck with me. At the time he said this I was working on a team envisioning the future. Prior rumblings in the back of my brain were about how much the world had changed in the 10 years working in the field, and how our work could reflect that. It wasn’t business as usual, and Gibson brought clarity to that. He has a super natural ability to see patterns in the world and then relate them relevantly and articulately to our present, past or future. He brings an immediate shift, and the emperor has no clothes. So if the future is now, how is Gibson responding in his work? From a NYT book review on Zero History. “Gibson used to write about an imagined future; now he writes about a half-imagined, half-real present in which it is almost impossible to tell the difference between what is real and what is imagined.” Heh. The day ended with some ideas captured for what the next generation of the built environment will look like. They’d like to get to a single idea of something they can build. Yesterday’s discussion just scratched the surface and there will be more workshops to help reach their goal. The workshops are being held at The Project Room (TPR) and is part of a series called “solutions” which discusses creativity as an act of problem solving. TPR is open to the public and engages the community to use its space as a platform for further discussion. Here’s the audio from the talk mentioned above. …. . .. ….. …. . . . .
Technology is a means to a future end. A good story is needed first. A few weeks ago I was sitting around a fire with good friends discussing how we could benefit the world. One friend* made the wise statement “we need leadership, not more leaders”. Since then, I have been pondering the importance of leadership as well as our loyalty to beliefs. We live in an amazing time when people have 24 hour access to most of the world; whether it’s information, communication, shopping… We’re not always wise about how we use this privilege, and may be holding onto old thinking structures that no longer serve us. What’s the tipping point for questioning beliefs? Of late, structured organizations including politics, pedagogies, and religions have fallen prey to offensive positioning and are continually reactive, unable to maintain balance and move society forward. We, individually, are a part of these structures. Many of us watch on the side lines as if in a post-accident state, resembling gawkers with our fingers pointing at the mess. We need to push into rescue mode and help lead humanity. Our new world demands and deserves individual leadership. Leadership as defined in Wikipedia: “a process of social influence in which one person can enlist the aid and support of others in the accomplishment of a common task“. In this context the task is to benefit society. It’s a new world. Let’s be brave and question it, knowing we have the opportunity for individual leadership and communal excellence with resources for positive innovation like never before. Think like an individual and act for your community. *This statement came from Leska Fore, one of my sources of wisdom. Promote positive human behavior in service to humanity. Inspire and mobilize influential people & organizations to benefit society through conscious choices (acts) in alignment with their inherent moral centers. 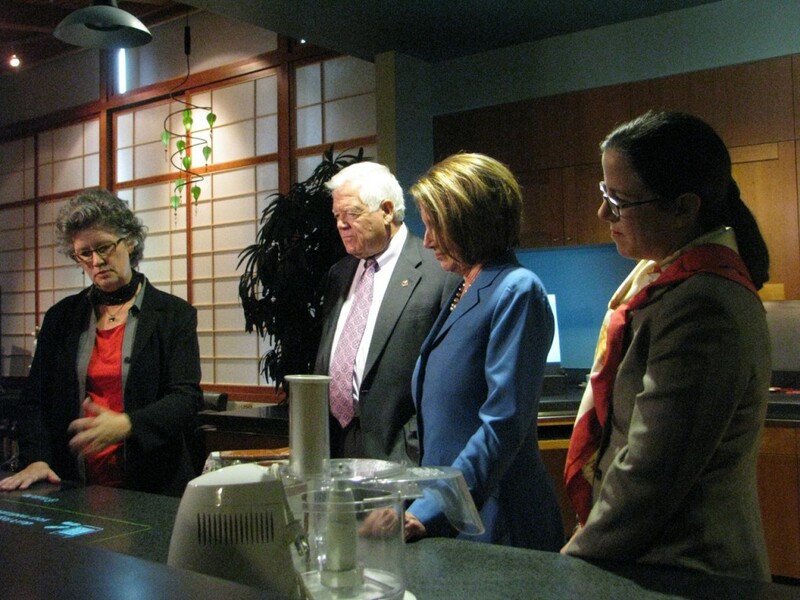 2 years ago, then House Speaker Nancy Pelosi and Congressman Jim McDermott came on a tour of the Microsoft Home. 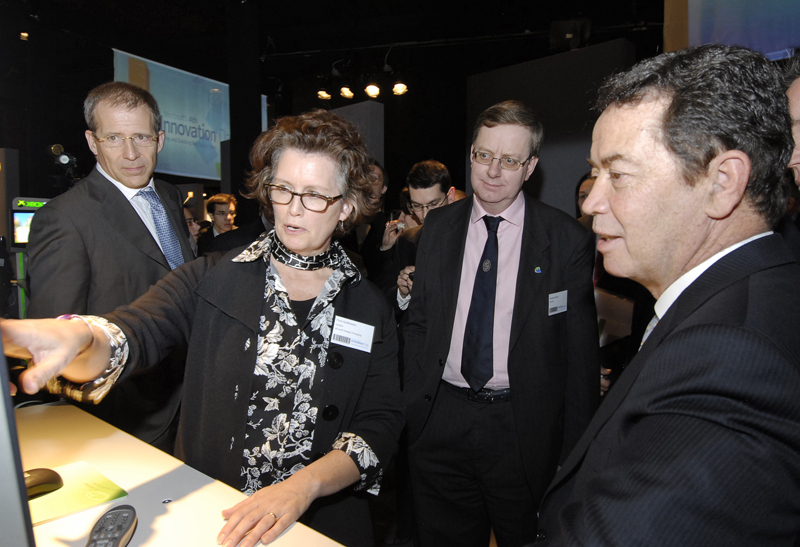 Keeping government officials informed of the possibilities that technology has enabled is in all of our best interests. This provides the opportunity for them to be proactive in their involvement to lead more and react less. For more photos visit the Seattle PI. I recently watched “Sing Your Song” a documentary about Harry Belafonte; a must see. I always imagined Harry as a kind man, although was not familiar with anything other than his music or Hollywood celebrity. The movie portrays a gracious man driven to make the world a better place especially for those who struggle. He does this by bringing awareness to political and humanitarian causes. He has worked closely with global thought leaders and has been instrumental in the success of some very important movements and moments in time that have moved social justice forward. Harry bailed Martin Luther King Jr. out of the Birmingham jail… Can you imagine? In the movie he recounts a conversation he’d had with King about how they should engage Bobby Kennedy to gain support for civil rights issues in the US. King suggested finding Kennedy’s moral center and willing him towards their cause. They did this by introducing Kennedy to people in poverty in the US. This exposure awakened a consciousness in Kennedy which led to his advocacy of civil rights. It’s very sad to think of how King and Kennedy were assassinated within 2 months of each other in 1968. I was a child and remember how devastating this was for so many people. Harry’s strong conviction kept him moving forward continuing to awaken the consciousness of the world. Harry is my new role model. Here with Manuel Pinho, Portugal’s Minister of Economy and Innovation, and other Microsoft folks. I’m the one pointing. A demonstration of an experience hiring a babysitter that showed how a method of reciprocation allowed participants to safely share personal information while protecting their privacy. A prototype tablet designed for a child that had parental controls and content management built in. Scenarios showed touched on: safe communications, homework, and a game for which children performed chores in order to earn credits for technology play. Of late I’ve been troubled with generational views of technology (the gap) and those making policy around them. The boomer generation sees tech as a tool, where the younger generations see it as more of an extension of themselves, and are more likely to identify with the possibilities. Many of the decision makers today are working from conditioned mindsets that aren’t prepared for how technology is empowering and enabling the average person. A perfect example of the generation gap was in an article 4/21/10 “Technical difficulties at the Supreme Court” about our Supreme Court justices and their collective lack of understanding current technology. Understanding the long term implications of the choices we make today is imperative. We’ve seen significant change in the last 10 years as people, businesses, and governments are now empowered and connected in new ways. This has posed new challenges for us all in staying current; not only with our investments in technologies, but also in our processes and mindset’s in preparing for the future. We’ve moved into an era of extreme agility. Progress is no longer linear on a timeline, it’s fractured and simultaneous. It’s in our best interest to help our leaders not only build a technology roadmap, but also a vision that includes understanding what we’ve enabled, so they can be proactive in their response and involvement. Enabling them to effectively lead (and react less). 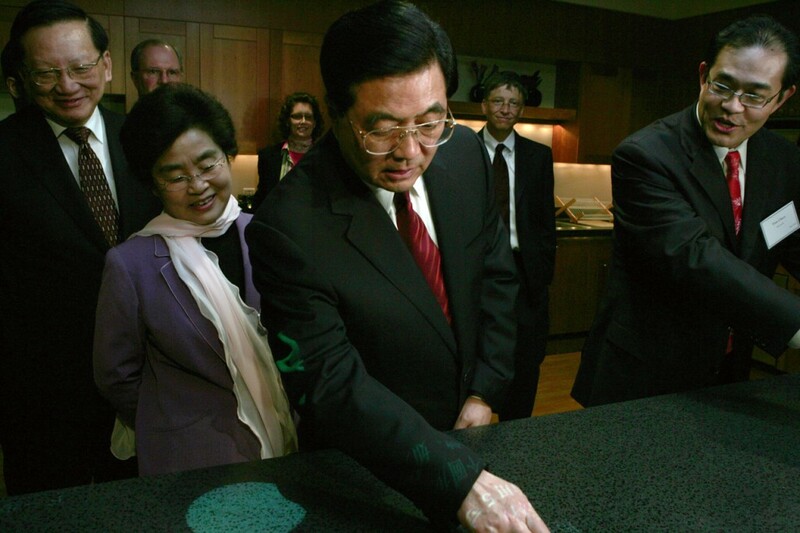 4/18/2006 we had the honor of hosting President Hu Jintao at Microsoft. The experience was amazing, especially to work with the Chinese national employees. They worked tirelessly to make the visit perfect. They genuinely cared to give their president the very best experience. Their sense of patriotism was celebratory and refreshing. I still feel high when I think of the event. President Hu Jintao with his wife Liu Yongqing. I’m back in the shadows. We designed a 9 minute tour that introduced the Microsoft Home. We personalized the space including vision prototypes displaying photos of places he had lived throughout his life. He was appreciative of the gesture. The tour was presented by Tim Chen, head of our Chinese efforts at the time. At one point I presented a clothing scenario in the teenagers’ closet as Tim translated. The President bowed to me, twice. It was my job to make sure the Home visit went smoothly. I purchased a stop watch for our rehearsals to make sure we hit our marks. It’s now attached to my bulletin board as a memento. The tour ended up taking 14 minutes, the president was very interested. During the visit one of his body guards, a woman, (provided by the CIA?) ran defense keeping the press at bay. She bounced back and forth with her arms out stretched creating a barrier all the while manically chewing gum. I wanted to giggle. Microsoft was the first place President Hu Jintao came to on his US visit. Speaking of Presidential first visits, in the summer of 2007 we had Vietnamese President Nguyen Minh Triết on the first presidential visit to the US since the Vietnam War in 1975. Wow. While it was an honor to also be a part of that visit, it didn’t have the same elevated effect.